Does Mosanto Control our Food in the US? My husband just asked me, "If GMOs and pesticides are causing Cancer then why aren't we at Monsanto's door with pitchforks?" 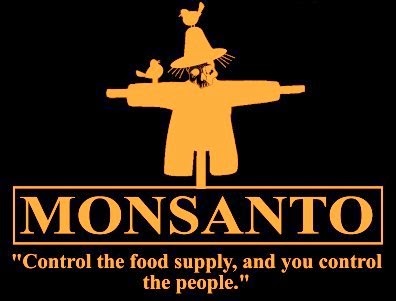 -Michael Taylor, former Monsanto vice-president and Lobbyist, is now the head of the FDA. FACT! -Margaret Miller, deputy director of the FDA's Office of New Animal Drugs was a former Monsanto research scientist who had worked on Monsanto's rBGH safety studies up until 1989. "Vilsack was the origin of the seed pre-emption bill in 2005, which many people here in Iowa fought because it took away local government's possibility of ever having a regulation on seeds- where GE would be grown, having GE-free buffers, banning pharma corn locally, etc"
Who decides what food and drugs are "safe" for Americans to consume? The FDA! Who else decides what foods are "safe" for Americans to consume? The USDA! A recent study links RoundUp to autism, Parkinson's, and Alzheimer's. Don't know about RoundUp? It is the KING of cancer-causing chemicals produced by Monsanto. If you're like some of my readers, you need more sources for all of this info I'm sharing. Don't take my word for it...Read it from the professionals! A recent study links GMOs to CANCER in animals. So now that you have more information...What are we going to DO about it? -First, SHARE this information with your friends and family. Use this as a starting place. Share on fb, twitter and whatever social media outlets you can find. Get on the phone and spread the word. Whatever works! -Next, GROW your own fruits, veggies and Herbs! Not everyone has the space to grow but anyone can start with a simple Basil seeds and grow a beautiful plant. Planting Heirloom, Non-GMO seeds is the way to go! Read about Heirloom Seeds. Shop at Mary's Heirloom Seeds for FREE shipping on heirloom, Non-GMO seeds. "More than 60 percent of all deaths in the U.S. are from diseases linked to unhealthful saturated fat and a cholesterol laden diet: heart disease, cancer, stroke, liver disease, and high blood pressure. Because major corporations pay BILLIONS of dollars in lobby $ and campaign contributions so that they can continue to receive government subsidies. -If growing isn't an option, Eating ORGANIC is your next best option. Although Organic does not mean chemical-free, it is a step in the right direction. You don't have to go out and throw everything away. I recommend that you start with high-risk crops. 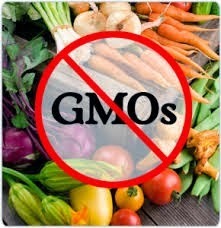 I have tried to remain calm and profession when sharing information about GMOs. That is going to change. The gloves are coming off! Love the passion! And just a reminder that folks can pinpoint sources for family farmer–grown food near them using HOMEGROWN's Find Good Food page—not to mention all kinds of tips for doing it yourself in the HOMEGROWN 101 library.